Ferreterro Ultra Slings – FERRETERRO INDIA PVT. LTD.
Light and Chemical. 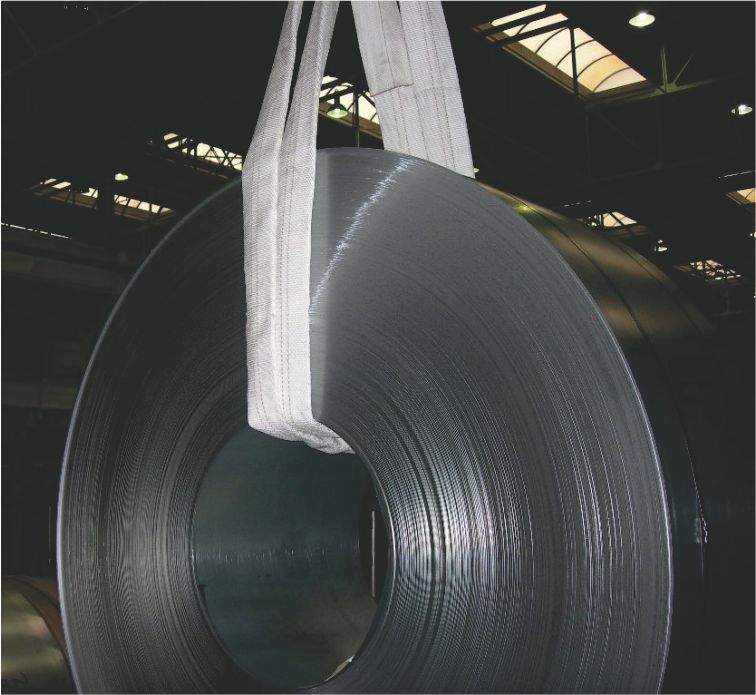 Due to the fact that it is a very light and soft sling, it results in less damage to the steel coil edges and less work related injuries. As a result there will be big reduction in utilization cost. 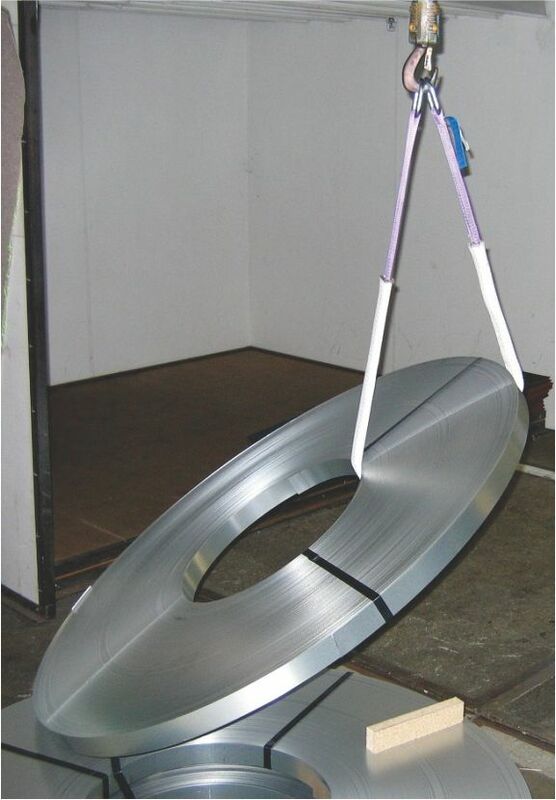 Ferreterro specifically developed round slings for Steel coils handling or other sharp and heavy loads using the fibers from DSM Dyneema. This round sling is made with 100% HMPE Yarn has an engineered outer cover which is designed with special Anti-cut Weave using fiber from DSM Dyneema. Anti-Cut Sleeves can be in full length of sling or a movable type for use at sharp corners of load. Very High Strength and Less Weight. If the sleeve is damaged simply it can be changed no need to replace the whole slings. The sleeve size is small and easy to slide to fit proper place. Remarkably thin sling offers advantages in situations with lower clearance between two coils. Elongation approx. 0.5% just similar to steel wire rope slings. Low elongation of sling ensures precision lifting of coils. 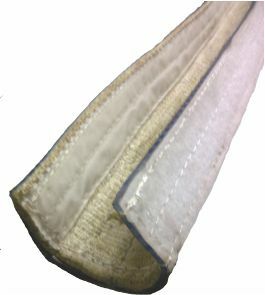 Sleeves can be movable or Velcro type removable. Ferreterro Ultra slings are suitable to use in very low temperature can be used at -50° temperature. Resistant to chemical such as Acids and Alkalis. Engineered weave using fibre from DSM. Dyneema resulting in extreme resistance to abrasion & cut. Protect the strength of the sling thereby resulting in maintenance free long service life. Resistant to almost every Acid & Alkalis. Available in Movable or Velcro type or Corner Edge Guard type. White in colour, slides smoothly over the body of sling. 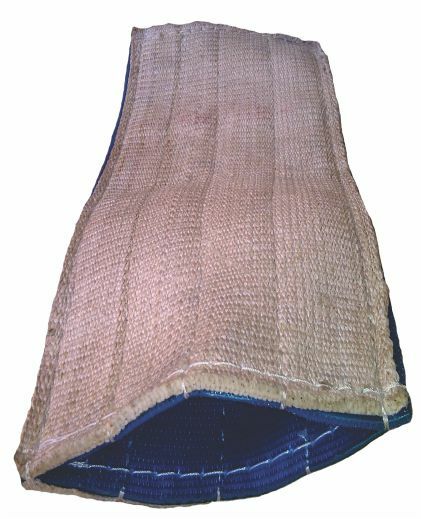 Suitable to use with any round or flat sling.